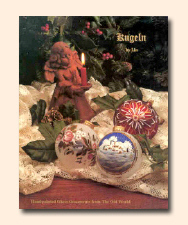 If you enjoyed painting Lia's beautiful "Bavarian Christmas Box" from the Dec. 2005 issue of The Decorative Painter, you will LOVE painting from her books! Click on the photo to see all views of the box! The Decorative Painter is the official publication of the Society of Decorative Painters. For more information go to www.decorativepainters.org. Scottie's good friend of many years, Lia Anderson, has written five beautiful books that are a must for anyone who loves Bauernmalerei! They are presented here. You may order these books with the Shopping Cart System below. You may also phone Lia with a credit card number at 757-258-9306; or you may fax her with a credit card number at 757-258-9315 or E-Mail her for more information or to ask for her mailing address to send a check: Lia5A@msn.com. Of course, all of the books from this page will be personally autographed to you by Lia! Thank you and Happy Painting! 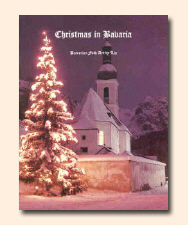 Click on each book to see an enlarged view of the book and a few projects. The files are large to provide you with a good view so please be patient! Remember, certain browsers may create a hazy or fuzzy image. This beautiful new book, featuring many of Lia's favorite styles from Germany, contains lots of projects on 84 pages including 20 full color pages, color close-up photos and color step-by-step pages $13.95 + $2.50 p&h. 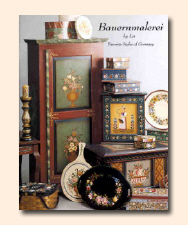 This is a beautiful book full of large and small boxes whose designs are based on antique German boxes. Lots of fun for beginners through advanced painters and teachers. 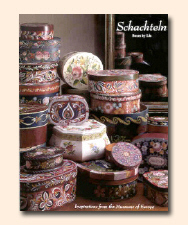 64 pages with 16 pages of color pictures of the boxes and step-by-step charts.$10.95 + $2.50 p&h. Lia's first book full of lovely, traditional German Christmas goodies. Easy and fun projects to paint for memorable Christmas presents for family and friends. A few traditional recipes are included too!. 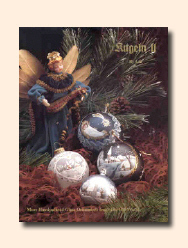 32 pages with 8 pages of color pictures and step-by-step chart. $7.95 + $2.50 p&h. Copyright © 1998-2017 Scottie Foster. All rights reserved. No part of this web site may be reproduced in whole or in part without the express written permission of Scottie Foster.